It’s only been nine months since Hewlett-Packard split itself into two companies and the new company that spun off, Hewlett-Packard Enterprise (HPE), is going through yet another big change. 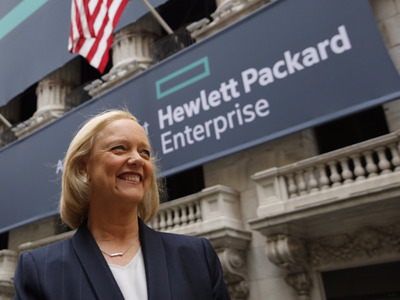 CEO Meg Whitman announced on Monday that she’s reorganising the company. Martin Fink, a 30-year veteran running HP Labs, announced his retirement. Also out: One of Whitman’s first key hires, John Hinshaw, who is leaving at the end of the year. Hinshaw was formally the CIO of Boeing, meaning he had experience running the IT operations of a huge company. In his former life, he represented HP’s ideal customer. He was brought on to help HPE update its IT, and he was moved over to become the head of support and chief customer officer. HPE’s COO, Chris Hsu, will be taking over HPE’s IT and security teams. Whitman is also consolidating the sales organisation into one group reporting to Peter Ryan, promoted from running the EMEA region. Whiman’s favourite PR and communications guy, Henry Gomez, is getting another promotion. He was HPE’s Chief Marketing and Communications Officer and now he’ll be leading a combined group that includes product marketing, e-commerce, and a group called “customer advocacy,” which works with HP user groups. In November, Whitman split HP into two companies, a PC and printer company called HP Inc., and HPE, the company that sells servers, software, and consulting services. She stayed on as CEO of HPE. But the changes kept on rolling. In May, she sold HPE’s troubled consulting services business to CSC in a deal expected to close in 2017. That services business was rapidly shrinking and it was the unit where most of HP’s massive, multi-year layoffs had taken place. HP cut 55,000 people from the payroll since Whitman took over, the company said. If it didn’t sell the unit, HPE planned to lay off another 25,000 to 30,000 more, it once said. Just prior to the split HPE had been turning some of full-time employees into contract laborers, too.